We’ve had lots of questions from families, midwives, and others about the recent release of two articles that were based on the Midwives Alliance of North America dataset (MANA Stats). Here are answers to some common questions, along with a roundup of some of the coverage. Numbers are useful, but only if they can be compared to something. What outcomes can we compare to the Cheyney article’s findings? In the study, the authors compare the findings to the best available observational studies of planned home births and birth center births. For low-risk women, the authors find similar rates of both positive and negative outcomes for mothers and babies as nearly every other large, well-designed study. Some of these well-designed studies are able to compare to hospital rates (which is difficult to do in the U.S.). For example, the Hutton et al (2009) study found no difference in risks to babies between home and hospital in Ontario, Canada. While it is reassuring that the Hutton study had comparable rates of mortality at home as the Cheyney study and it found no difference in risk between home and hospital, more research will be needed to compare U.S. home birth and hospital birth rates. 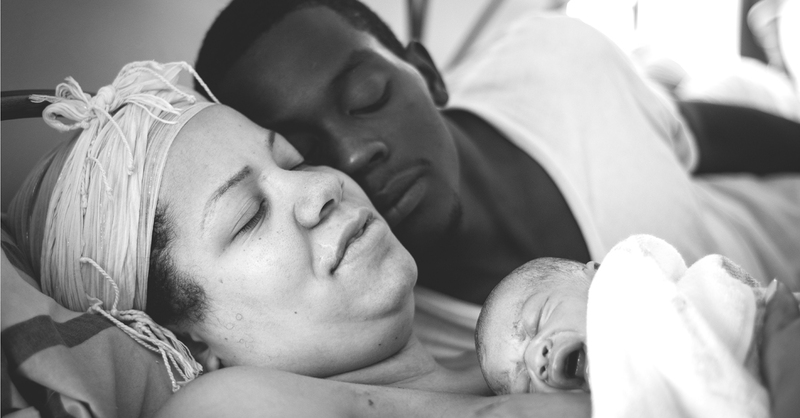 Why doesn’t the Cheyney study compare home birth to hospital birth mortality rates? It makes sense to want to draw these comparisons. However, hospital rates in the U.S. are derived from vital statistics data (birth certificates and/or death certificates). A number of organizations, including the American College of Nurse Midwives and Citizens for Midwifery have spelled out the limitations, which include a failure to capture the intended place of birth and inaccurate reporting of some outcomes. Vital Statistics data report only two: early and late neonatal deaths. You may have participated in discussions that attempt to make these comparisons. Many have confused the combined rate (intrapartum+early+late neonatal) with rates that include only one or two of these outcomes. When attempting to compare rates, we encourage you to ask whether the rate is for intrapartum, early, or late neonatal, and to ask for the source of their data. How could the findings of this research be so different from findings that suggest home birth has a greater risk than hospital births? Those studies primarily rely on Vital Statistics data. For a helpful fact sheet on how to assess the quality of articles based on medical records - the “gold standard” for research and the basis of MANA Stats - against those based on Vital Statistics, see this in-depth look at Citizens for Midwifery. I’m looking for unbiased analyses of this article and home birth evidence to share with families, policy makers, and others. Evidence-Based Birth summary on Facebook. Rebecca Dekker is known for her thoughtful and unbiased approaches to the literature. Judith Lothian’s review at Science and Sensibility. ACNM’s preliminary review of the Chervenak/Grunebaum findings. This includes a comment on MANA Stats. Citizens For Midwifery's summary of the findings. The Daily Beast’s look at how “alarmist studies . . . from data pulled from vital-statistics data” are getting in the way of ensuring safety for mothers and babies, from the Daily Beast. Hutton EK, Reitsma AH, Kaufman K. (2009). Outcomes associated with planned home and planned hospital births in low-risk women attended by midwives in Ontario, Canada, 2003-2006: a retrospective cohort study. Birth 36(3):180-9. The only comments that have not been published have been because the author did not leave a first and last name. Please check our community guidelines if you have any questions. Thank you, MANA folks, for adding this helpful clarification to the mix of cloudy information floating around out there. The way forward (that will serve women the best) will start with honest numbers and respectful dialogue. Thank you for modeling that. I'm curious if MANA could address why it took 5 years to release the mortality statistics. Also, is MANA going to be releasing practice guidelines for high risk births such as breech, VBAC, and multiples, for which this study showed very poor outcomes compared to hospital birth? Five years is a very common time for publication of research - see this Cochrane Review for more information about the standard. The Midwives Alliance does not establish practice guidelines for midwives; we are an organization that is inclusive of all types of midwives (direct-entry, nurse-midwives, licensed midwives, CPMs, etc). Regulation of the various types of midwifery practice is conducted at the state level and varies widely. Then why release all the other stats first? You released information on c-section rates earlier, as well as other outcomes. So more specifically, why did you not release death rates until now? Doors MANA leadership still personally support breecxh home birth, despite the very high death rate compared to hospital outcomes? Release of cesarean and other outcomes? Can you point to what release of cesarean rates and other outcomes you are referring to? Thank you! The link you posted relates to clinical trials. MANA's study was not a clinical trial. Furthermore, clinical trials are routinely halted when a trend of extremely adverse events, such as death, becomes clear. However, MANA took no such action. Thank you for the dedication that went into this foundational research in US home birth. It is my hope that one day women in every state will have access to legal midwife attended homebirth. I appreciate the list of outside resources that help explain MANA Stats. I look forward to future research on this important issue. Hospital intrapartum mortality rate is .1-.3/1000? I left this comment on the other post. I am hoping to get an answer from MANA. Please. I read that Judith Rooks stated the intrapartum mortality rate for hospitals is 0.1-0.3/1000 for low and high risk. Is that true? She is a CNM. That is a very large difference for intrapartum mortality rates. This didn't take place on a blog. It was on Facebook. It was a conversation that Wendy Gordon was a part of (one of the authors of the MANA study). She did not dispute what Judith Rooks said. I have screen shots of the conversation. Also, the World Health Organization estimates the intrapartum mortality rate is 0.3/1000 in North America. This is for all deaths during labor/delivery, includes high risk, includes any gestational age, includes lethal anomalies. So for full term women in hospitals, it is very likely less than 0.3/1000. That is a substantial difference compared to the MANA study, where the intrapartum mortality rate is 1.30/1000. Are the midwives in the Hutton paper comparable to the midwives in the MANA study? Which numbers are you comparing to say that the Hutton study had comparable rate of mortality at home to the MANA study? There are some significant differences between midwifery practice in Ontario (Hutton’s study) and in the U.S., notably the fact that midwives in Ontario are well-integrated into the maternity care system and can provide care in the home and hospital settings, and the Ministry of Health pays for midwifery services in the home or hospital. However, similar to U.S. direct-entry midwives, Canadian midwives are not nurse-midwives (they are not required to become nurses before they begin their midwifery training), and they are required to learn and maintain the specialized skills needed for attending home births. Midwives in Ontario are also forbidden to attend deliveries of breech and multiple gestations at home. The Cheyney et al study just published regarding home births in the U.S. found statistically similar rates of intrapartum and total neonatal death as the Hutton et al study when comparing similar lower-risk cohorts: Hutton’s intrapartum stillbirth rate was 0.45/1000 which was statistically similar to Cheyney’s 0.85/1000; Hutton’s total neonatal stillbirth rate was 0.90/1000 which was statistically similar to Cheyney’s 0.76/1000 (both of which removed babies with lethal congenital anomalies from the analysis, as is standard when examining the safety of place of birth). The Cheyney study was over 2.5 times the size of the Hutton study, so comparing a larger study may have provided an opportunity to see statistically significant differences if they were truly there, but in this analysis, the rates were all statistically similar by the numbers. The Cheyney et al findings regarding intrapartum and/or neonatal death rates were also statistically similar to the findings of several other well-designed studies (Johnson & Daviss, Kennare et al, Stapleton et al, de Jonge et al, Birthplace in England Collaborative), as outlined in the Discussion section of the paper.